This message is about an accident that occurred to a logger recently. 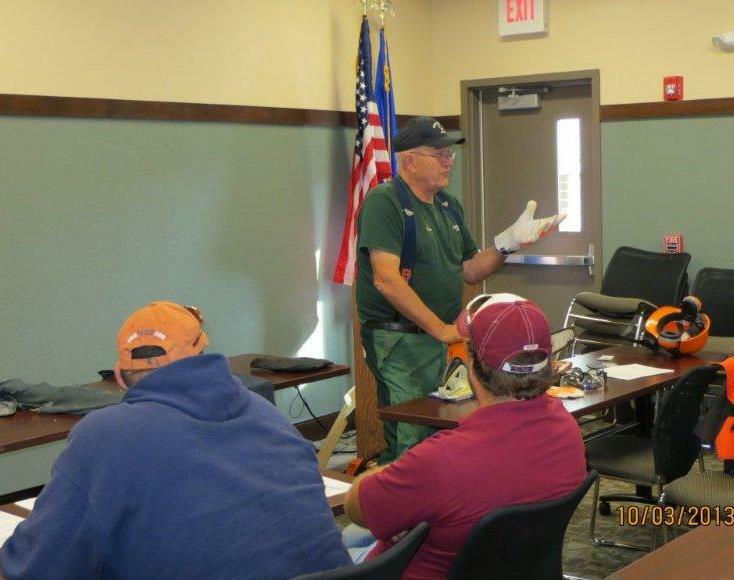 As we provide training to the loggers in the woods, landowners, or anyone else that uses a chainsaw, the one thing we emphasize more than anything else is safety. And one of the most important safety issues is recognizing hazards that will potentially cause an injury and then avoiding, controlling, or removing the hazards to reduce that potential. 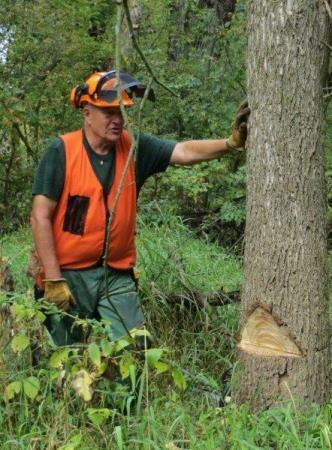 The problem that chainsaw operators always encounter is the urge to take shortcuts. And when we decide where the shortcuts will be taken, it is almost always about sacrificing safety to get the job done as quickly as possible. Examples might be to take two steps away from the tree as an appropriate escape distance, when we know better. Or starting to buck before checking for loose limbs overhead. Or not removing dead stubs or potential hazards in the trees intended landing area. 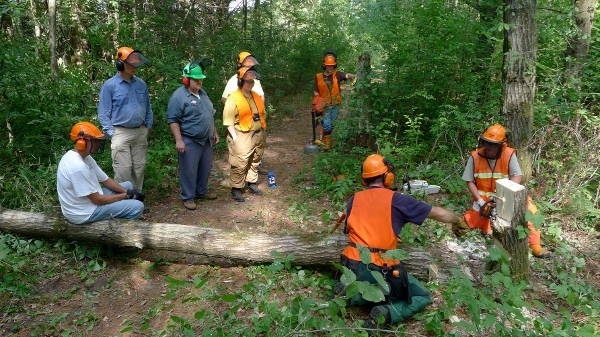 Remembering the five elements of any felling plan,(hazards, lean, escape route, hingewood, and cutting plan,)that identifying hazards and establishing AND USING an appropriate escape route is always stressed. 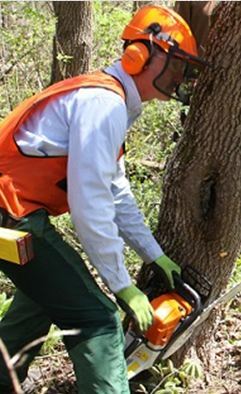 Remember, there isn’t a tree out there that is worth cutting if hazards identified are not able to be removed or avoided. With sketchy descriptions of one of the accidents that occurred, it seems the sawyer cut a tree down in which there was another tree leaning into or entangled within it. As the tree fell, the sawyer backed up but didn’t realize the tree that was entangled also fell or was pulled and became partially airborne as the two trees fell. 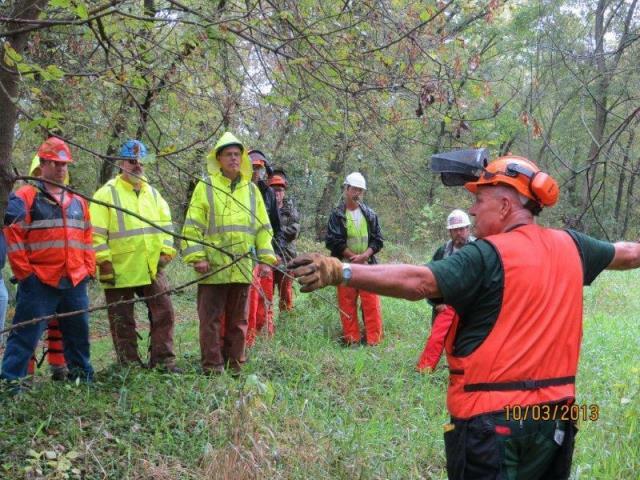 The sawyer was struck in the back and shoulders with the second tree, and sustained disabling injuries to his upper body and legs. He has missed several weeks of work. Since this information is second hand, I’m not sure how accurate it is, but it can describe a circumstance that anyone cutting with a chainsaw can encounter. So how can we avoid the injury in this situation? Make sure ALL hazards are identified before the project is started. Make every effort to remove the hazards if possible. Avoid the hazards that cannot be removed by establishing an appropriate escape route. 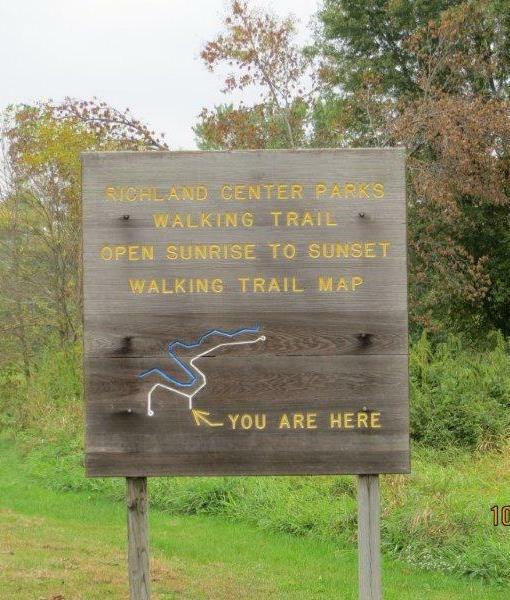 If the hazard(s) cannot be removed, controlled, or avoided, walk away from it and find a better project. IF YOUR FELLING PLAN INCLUDES FIGURING OUT IF YOU CAN RUN FAST ENOUGH TO AVOID THE HAZARD YOU PROBABLY SHOULDN’T BE CUTTING THE TREE!!! 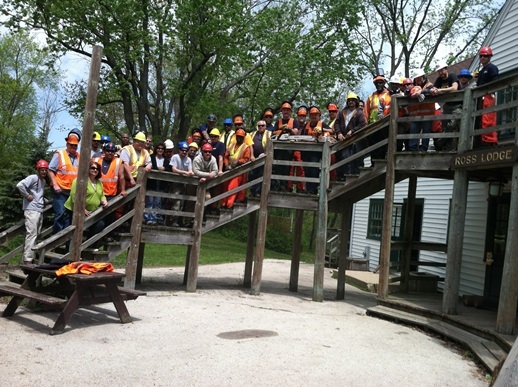 It is absolutely required that safety be an integral part of your workday. No one wants to get injured, so BE SAFE OUT THERE! !